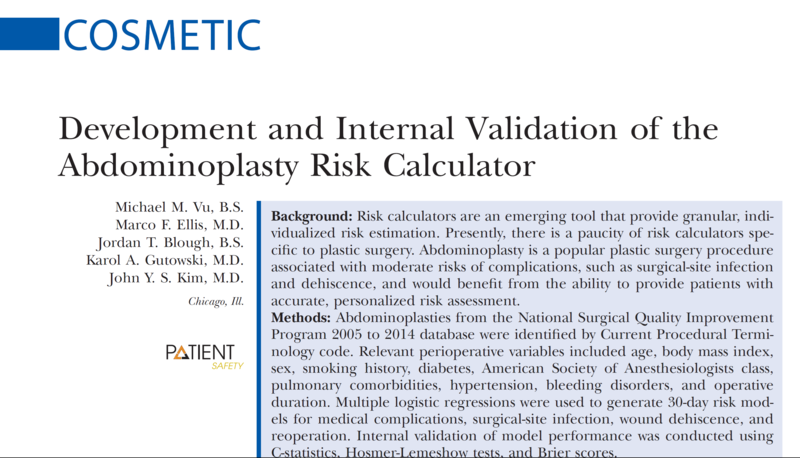 Dr Gutowski's publication in this month's Plastic and Reconstructive Surgery Journal is on a risk assessment model for tummy tucks. Thanks to coauthors Drs Michael Vu, Marco Ellis, Jordan Blough, and John Kim for continuing the patient safety movement. We are all committed to improving patient outcomes!